2. Write a query to display all the orders for the salesman who belongs to the city London. 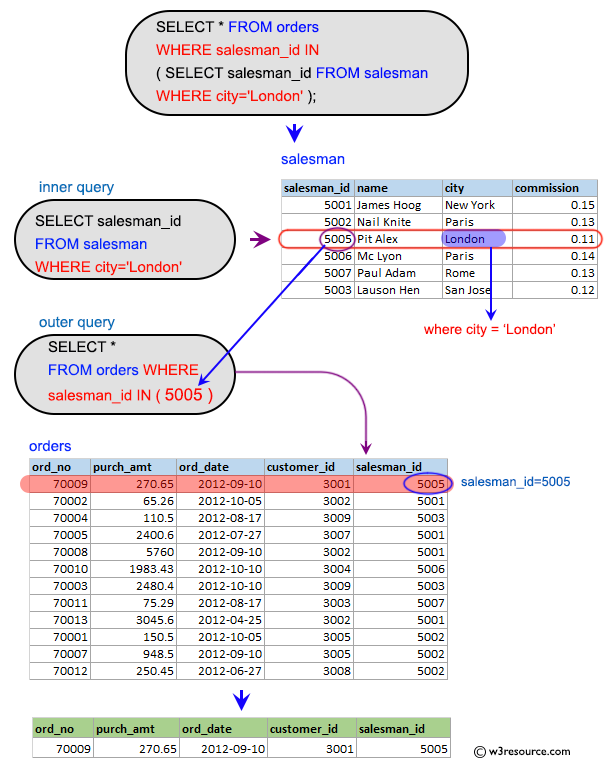 Previous: Write a query to display all the orders from the orders table issued by the salesman 'Paul Adam'. Next: Write a query to find all the orders issued against the salesman who works for customer whose id is 3007.